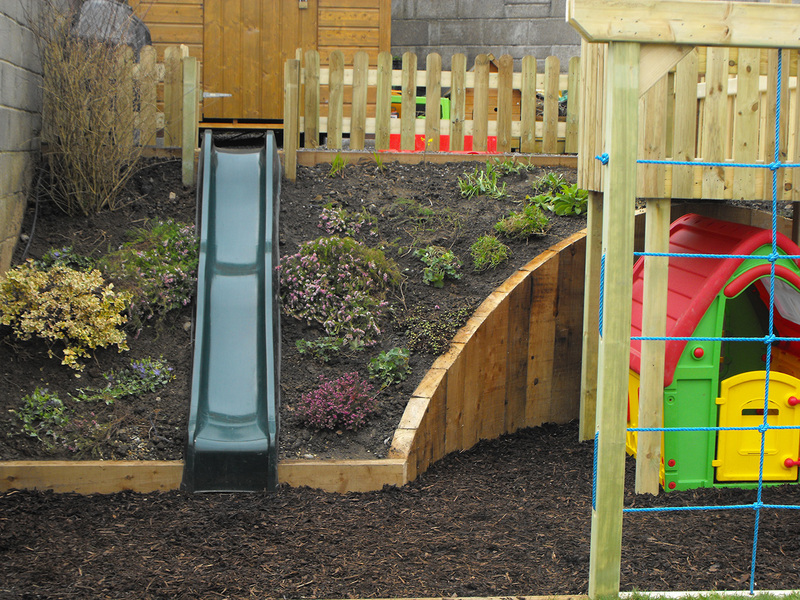 The clients had a young family and their most pressing need was to create a safe environment for their children to play. 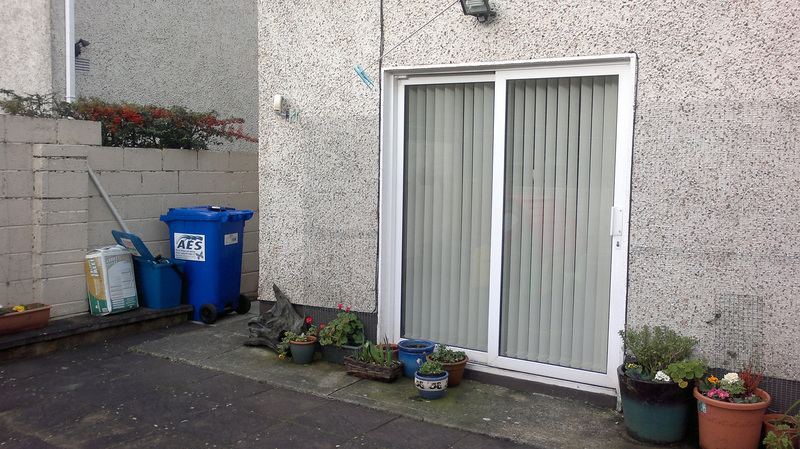 The existing patio was old and uninviting, with the result that although the garden was a large area for the most part it wasn’t being used. 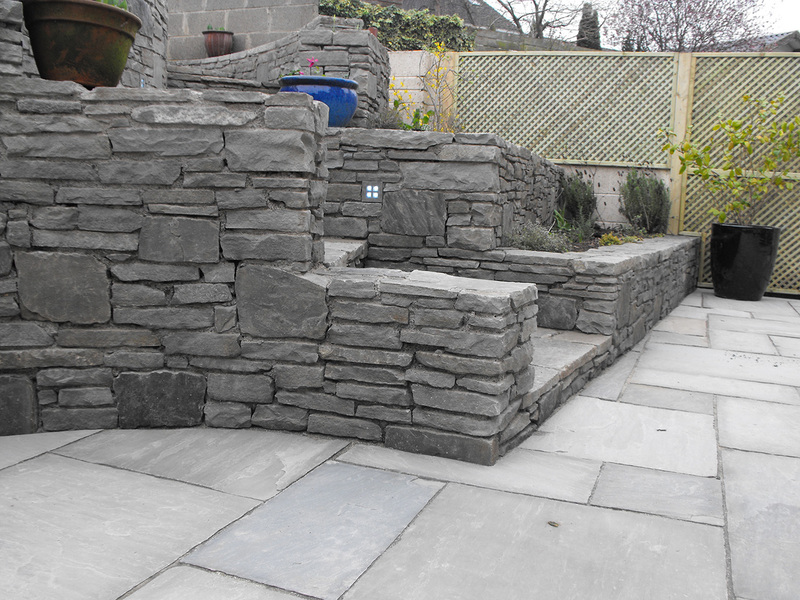 The main problem with this garden though, was the large slope which started at the end of their patio. 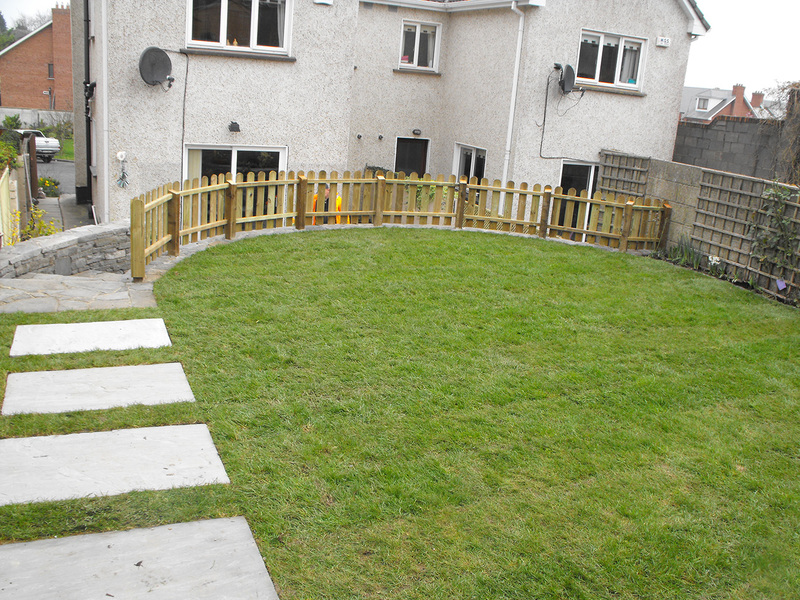 The lawn area was 2 metres higher than the patio area which would involve 12 steps. 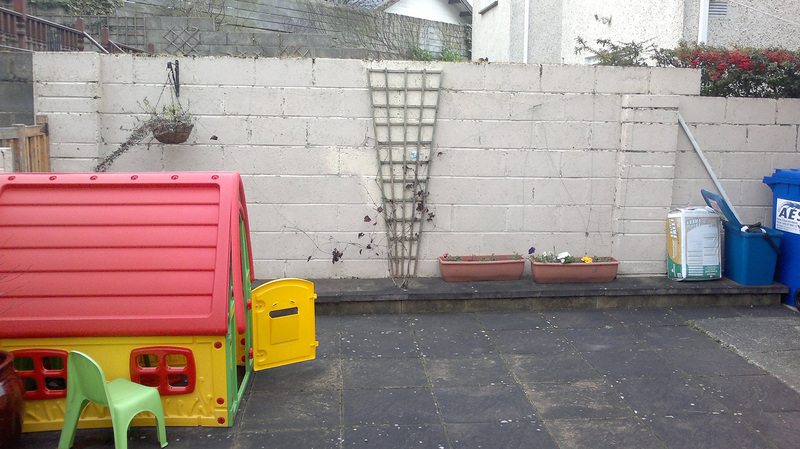 There was an area at the back of the lawn at a higher level where the garden shed was located. 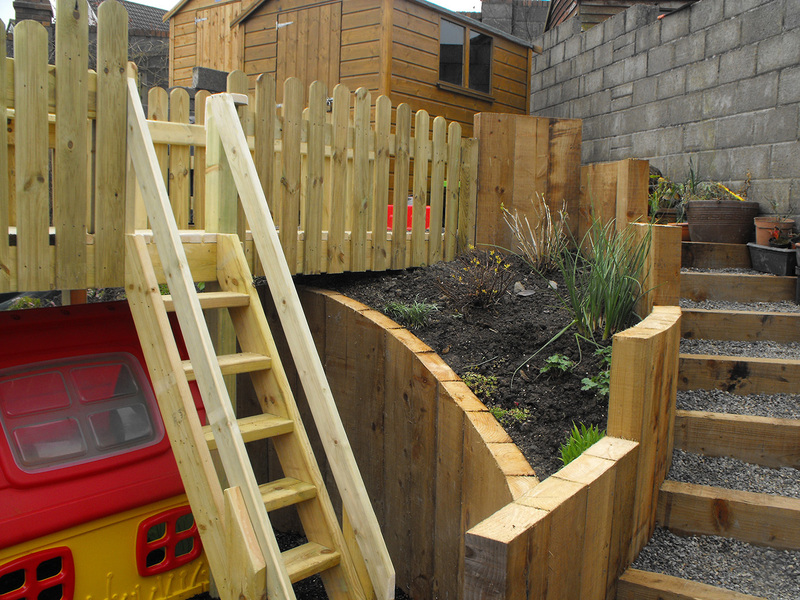 In total to get from the house level to the shed involved 22 steps. 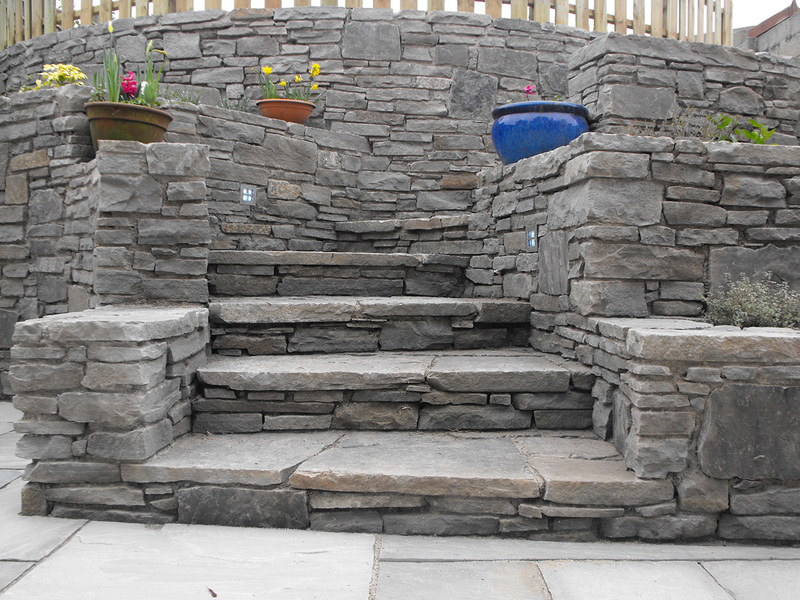 There was an ugly retaining wall separating the patio and the lawn areas and the steps accessing the lawn area were both dangerous and unattractive. 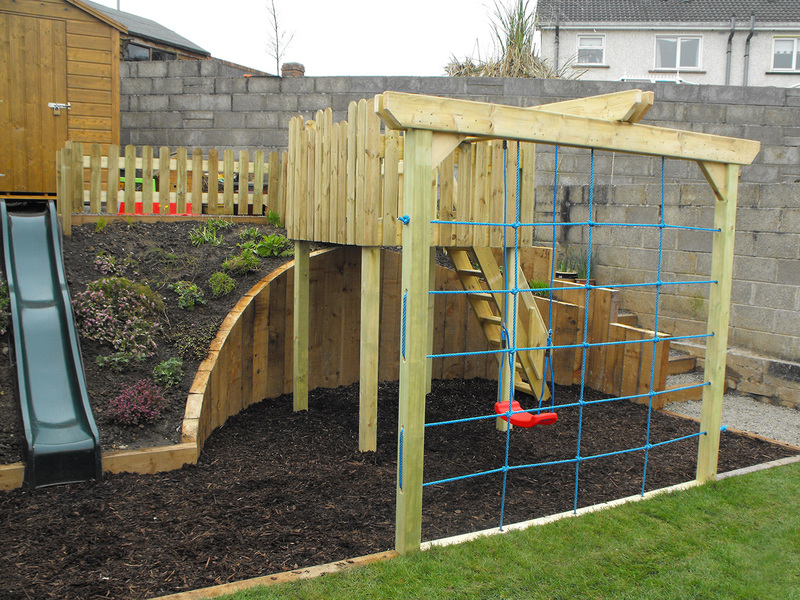 The clients wanted a design to open the garden up to their children where the lawn area could be accessed without being hazardous. 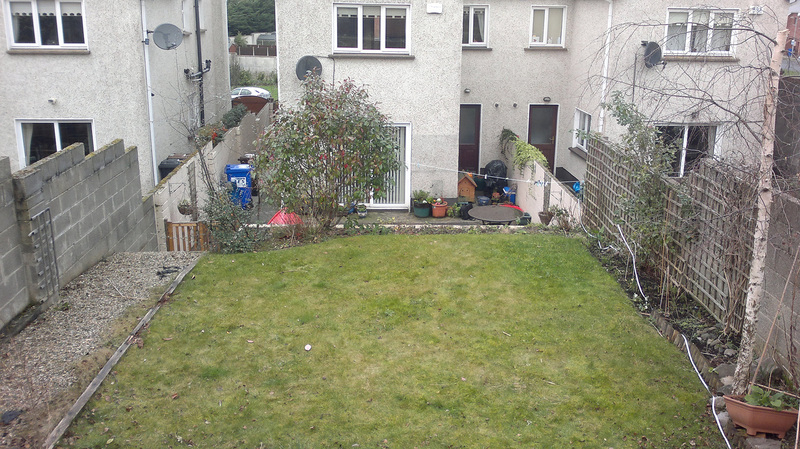 They wished to retain a large lawn but to make it flat. 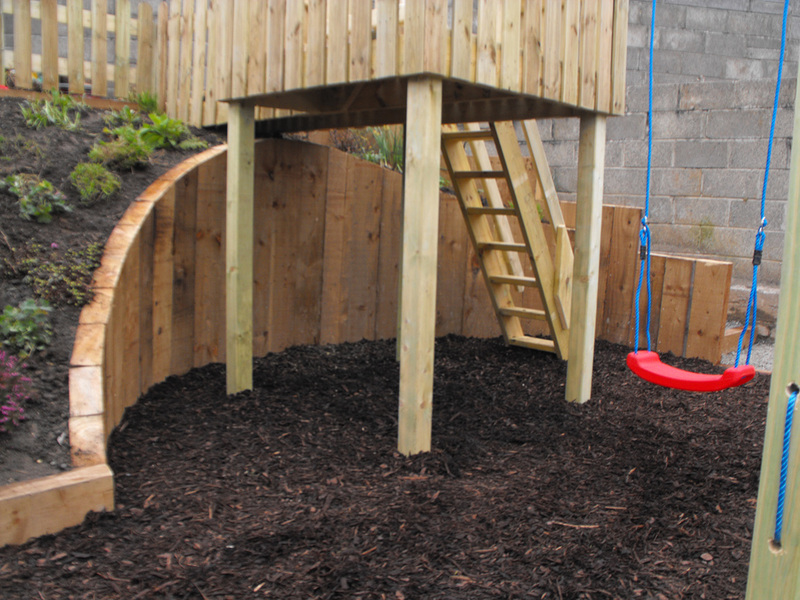 They wished to include in the design a play gym with swings and a slide. 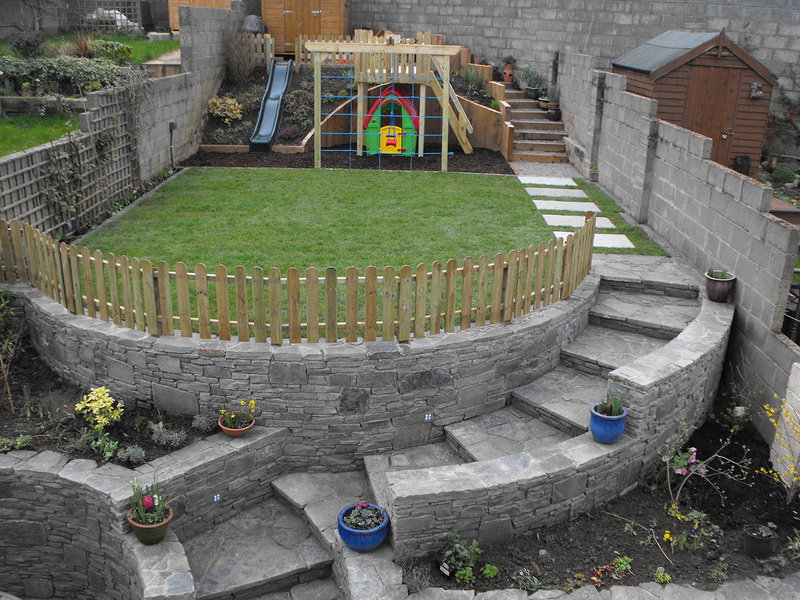 As the retaining wall was most visible from the house it had to be aesthetically pleasing as well as being functional. 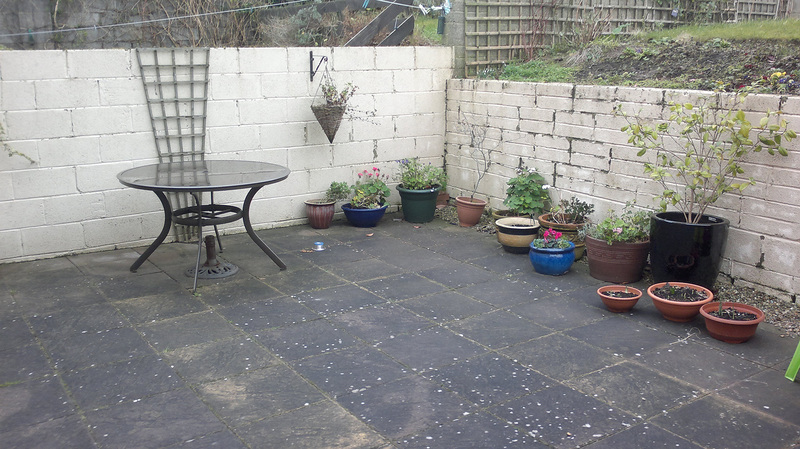 The lower area was to be re-paved to create a patio area for the adults to enjoy. To avoid creating a fortress like structure. 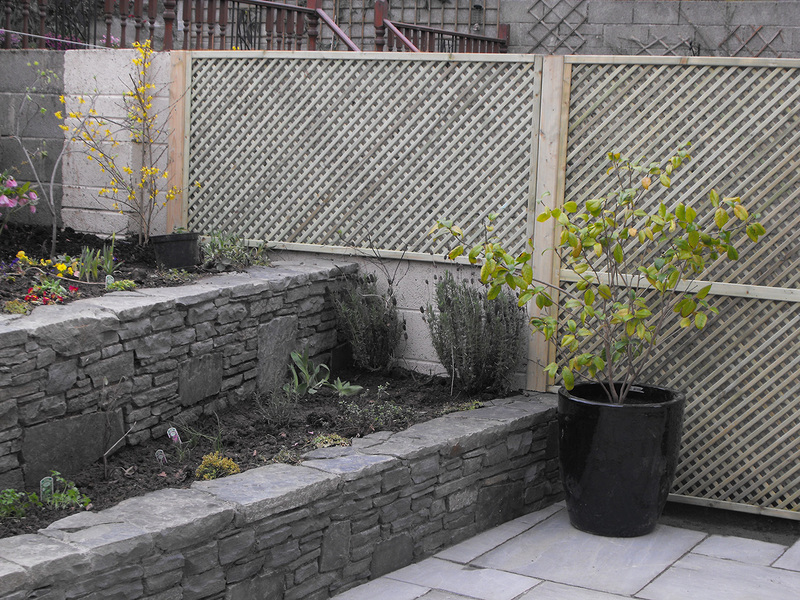 Although the retaining wall needed to be 2 metres high it had to be a garden feature. 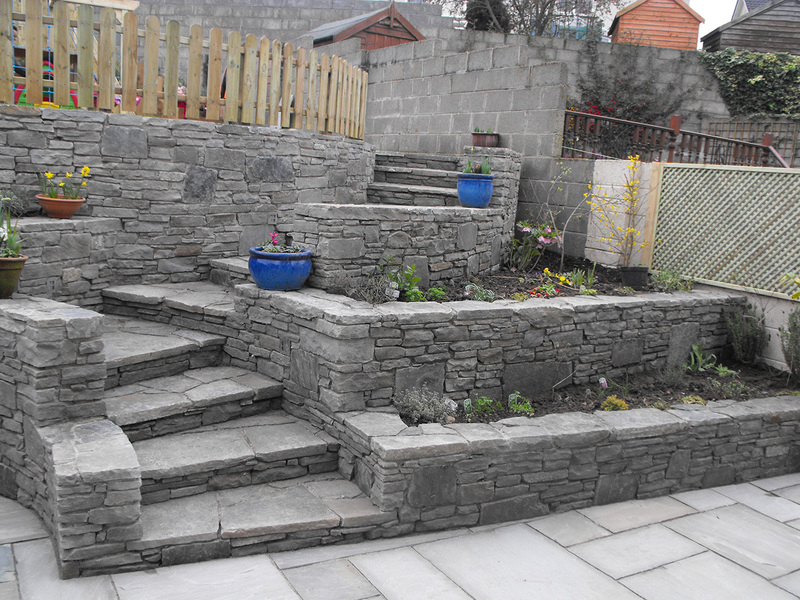 We decided to use Irish limestone to build the retaining walls and the steps. 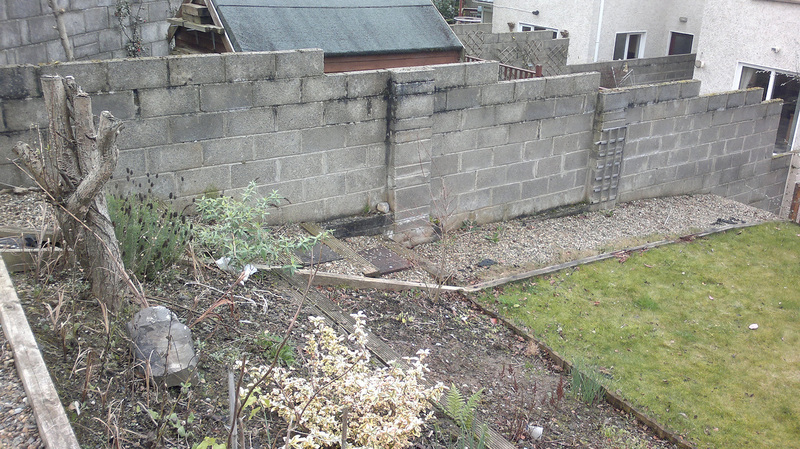 This was less industrial looking than concrete blocks and looked attractive from the house. 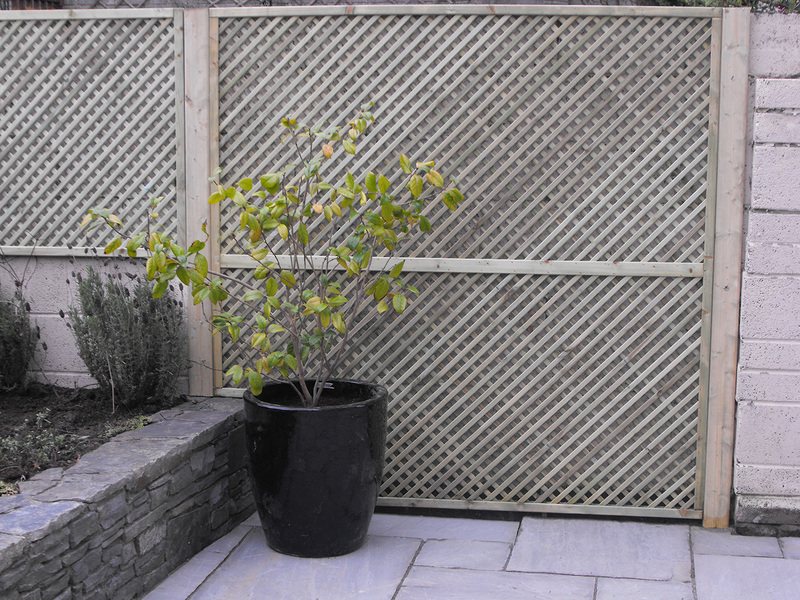 We also introduced a curve to soften the look. 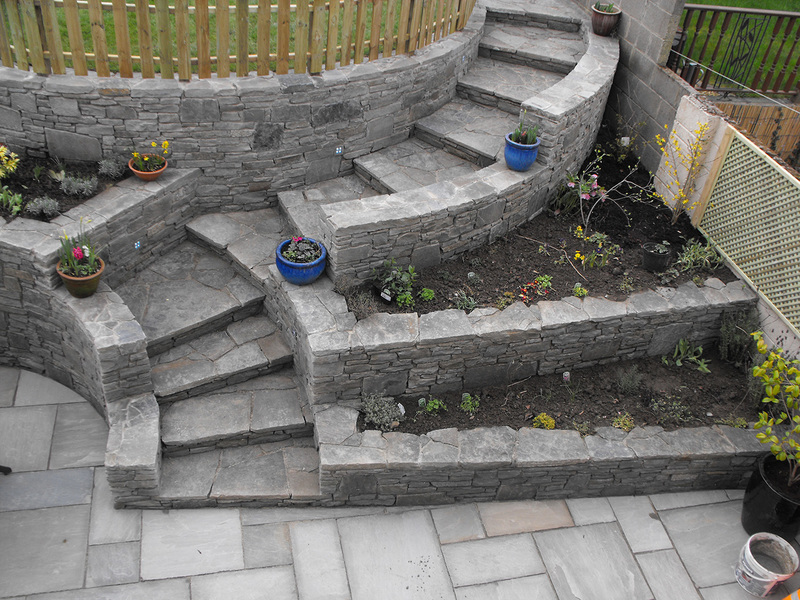 The steps could not be like indoor steps all in one long row. 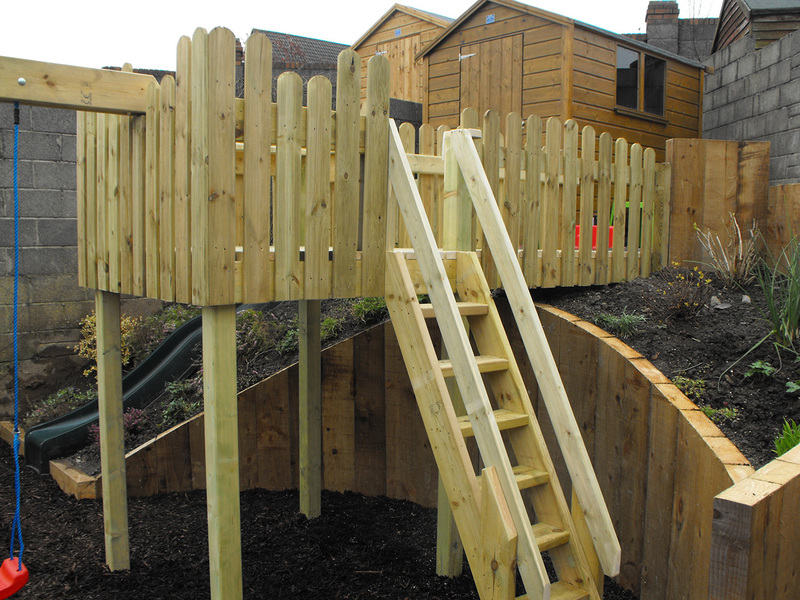 If a child fell at the top it wouldn’t stop until the bottom. 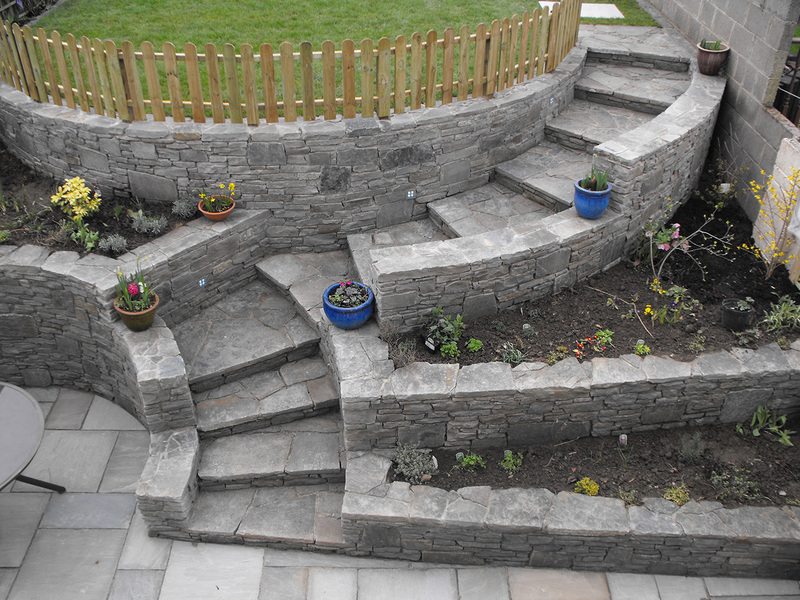 We built the steps following the curve of the wall so they went across the garden rather than straight up. 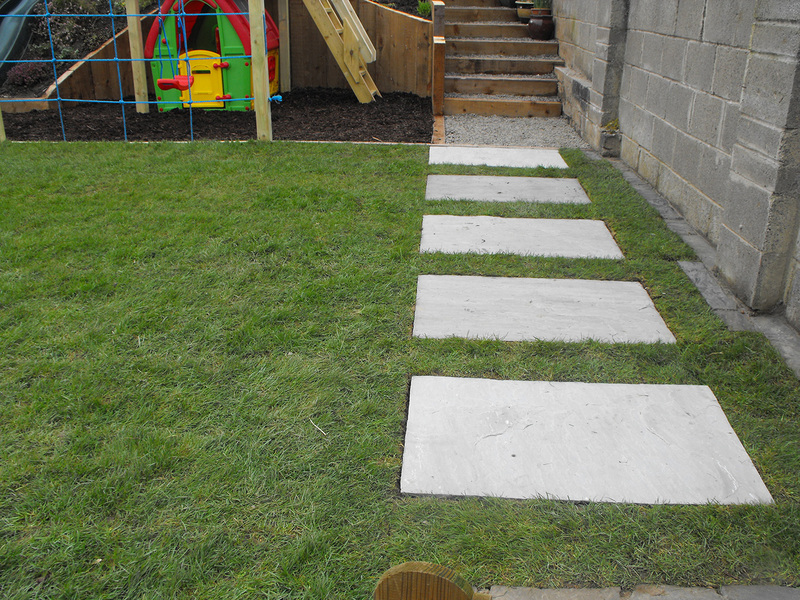 We also made the treads of the steps broad so that if a child were to trip it would only fall to the next step. 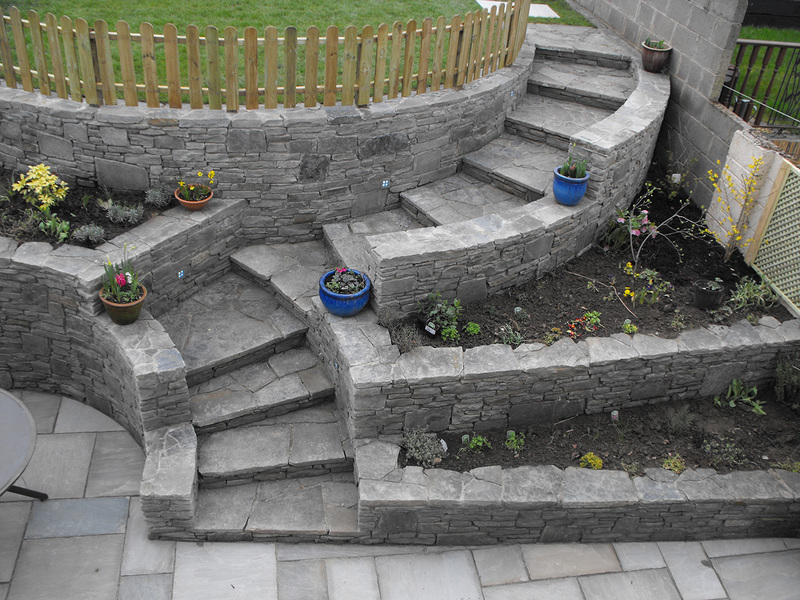 We used the same limestone to create the steps as we had used in the wall, choosing large flat stones. 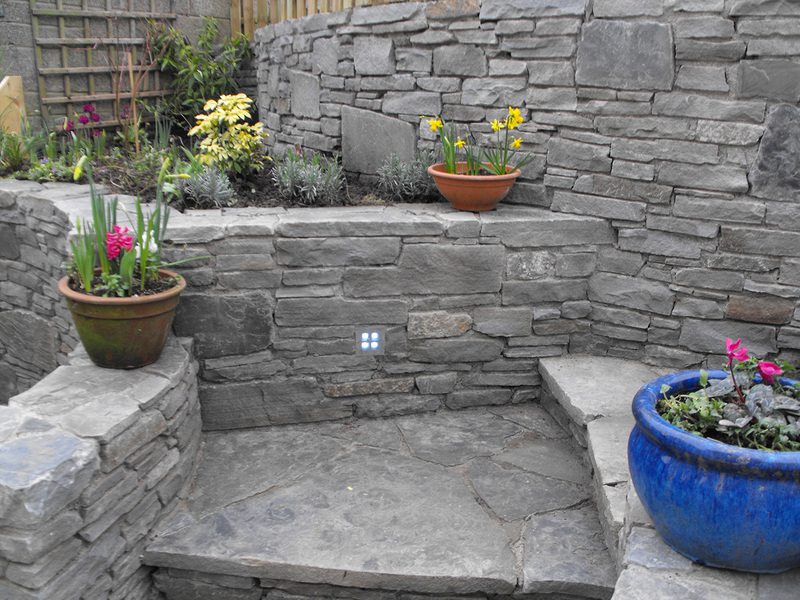 In this way we could connect the steps with the wall. 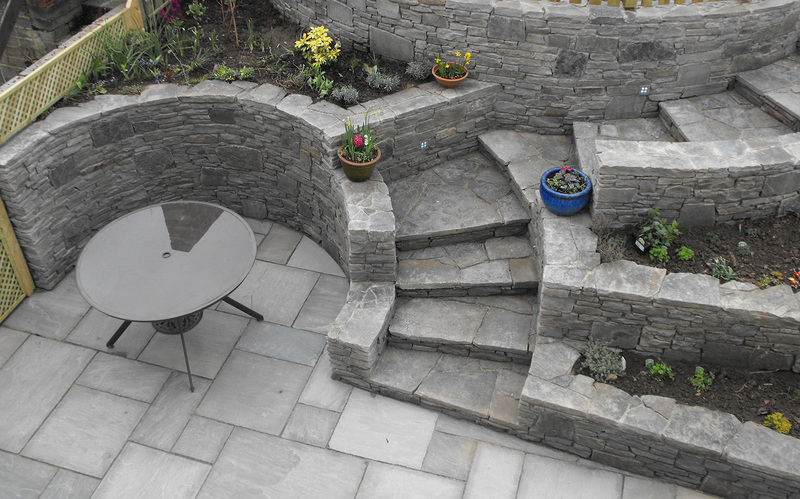 I also designed the steps to radiate out from the curve of the wall, thus connecting them physically and in the design. 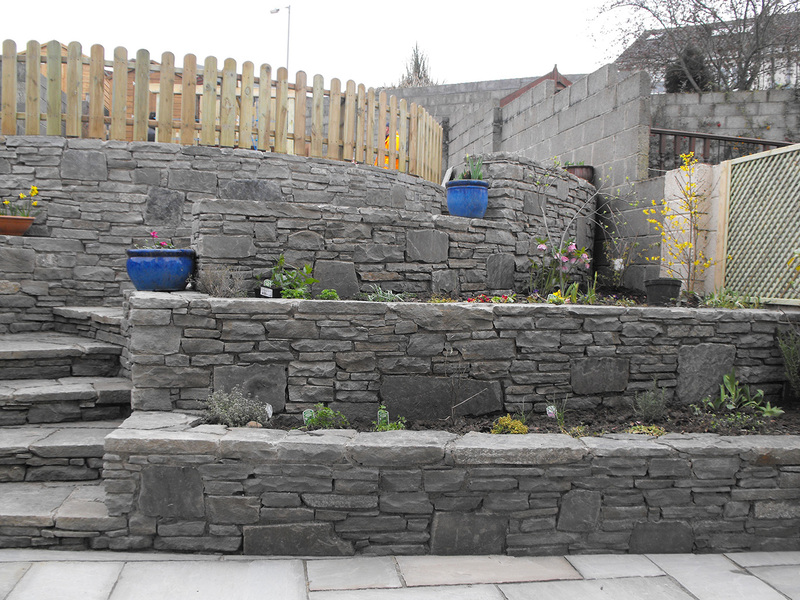 There had to be planting areas to soften the hard landscaping. 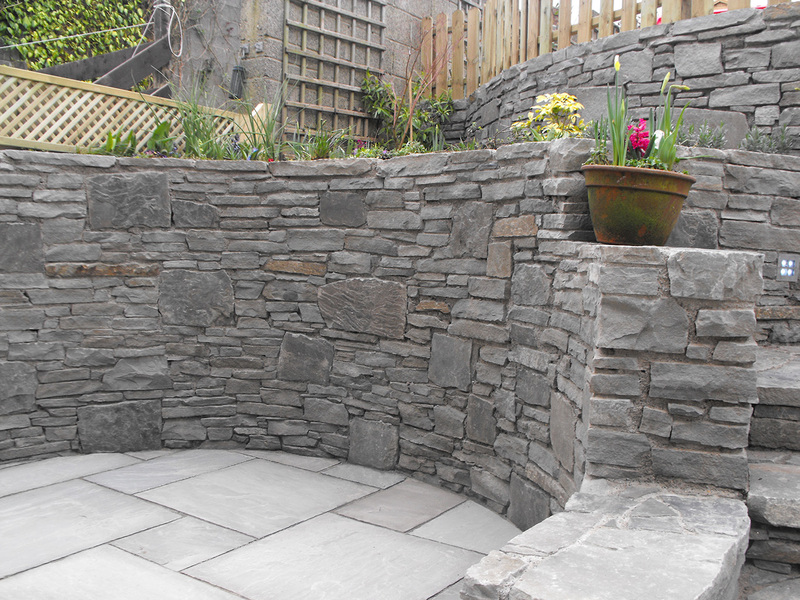 By building two smaller walls we created a planting space to allow for planting which would soften the stone. 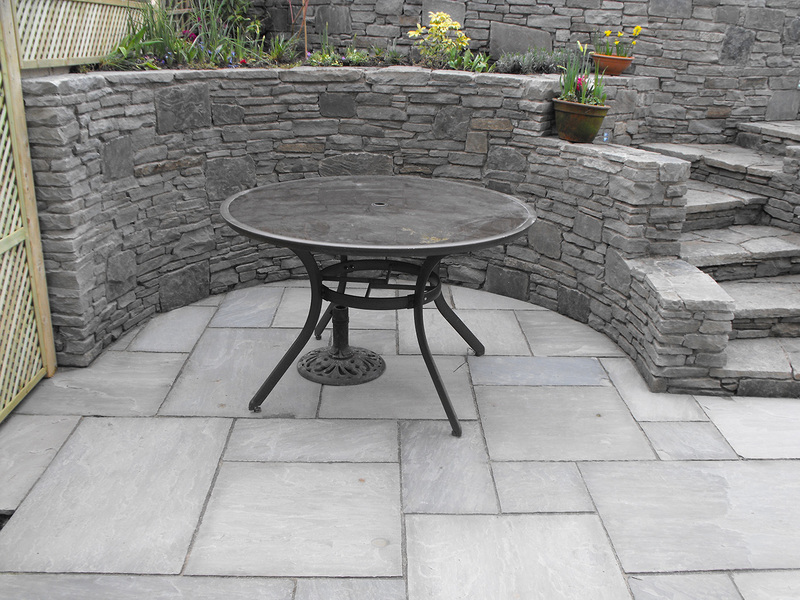 These walls beside the patio would also create informal seats. 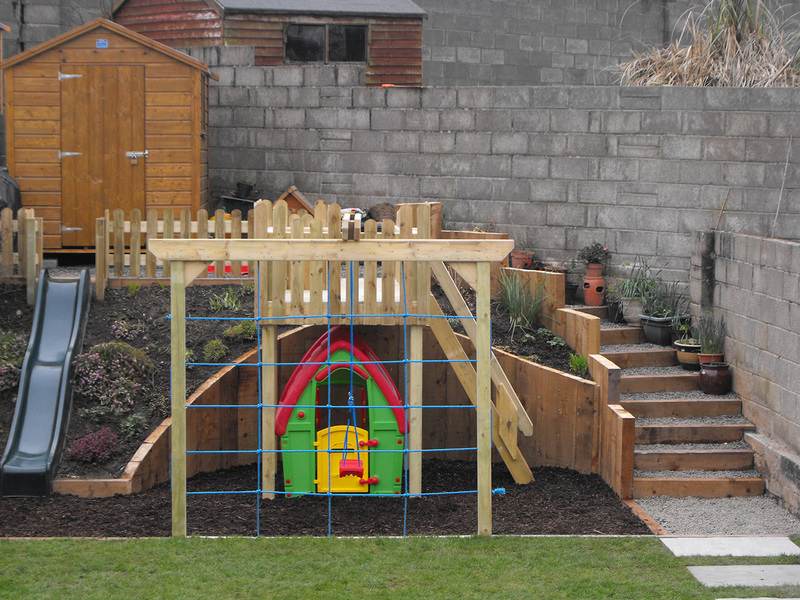 Make a play-gym without reducing the lawn space too much. 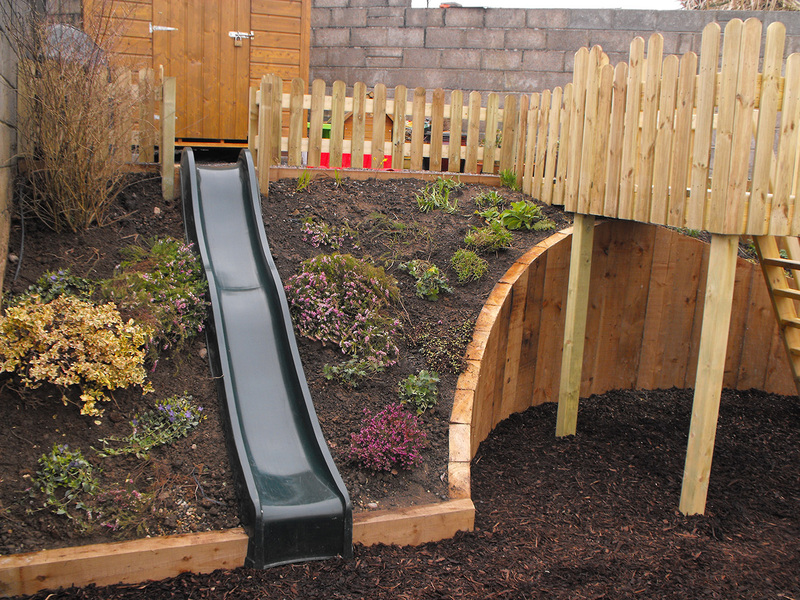 We built the play-gym into the slope at the back of the garden, incorporating the slide into the planted bank. 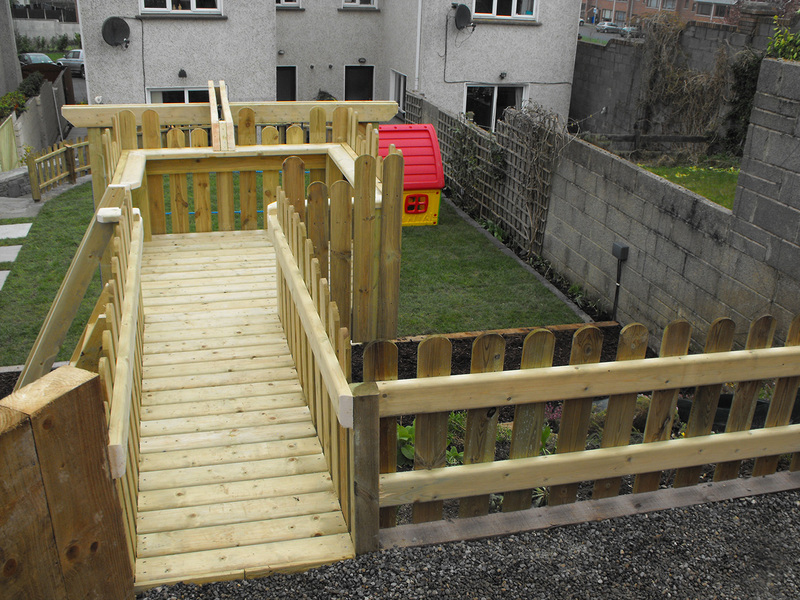 The steps to the top area with the shed doubled as access steps to the top of a play fort. All height hazards were fenced off.